Grantham Running Club is a road and cross country running club for all abilities of adults. Since forming in 2010, we have been a vibrant, growing club with almost 250 members and three UKA trained coaches supported by twenty two run leaders. 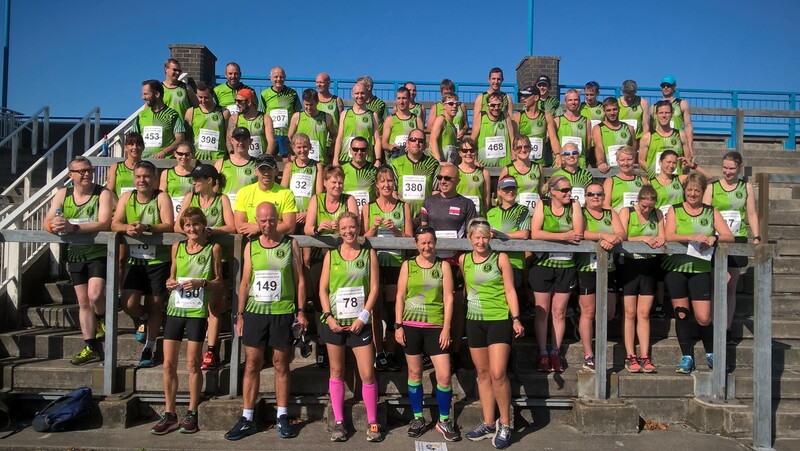 We hope that joining not only improves the times and enjoyment from your running but also introduces you to new friends and the activities we take part in. In addition to training together five times a week and organising and competing in many local events, we also host the Grantham Cup (trail) and Summer Solstice (road) and numerous social activities. If you want to come and run with us or find out more about what we do please email us, or come along to one of our training sessions. We acknowledge the great support it receives from the local media, in particular the Grantham Journal who print our press releases most weeks. Our race reports are submitted to them, and over the past few years they have publicised our athletes in many races, and promoted our club. If you do compete in a race please e-mail a first hand report and we will combine it with other events that occur at the weekend for submission.